At BAL we believe that quality workmanship is just as important as high quality products, which is why tiling training is at the top of our agenda. 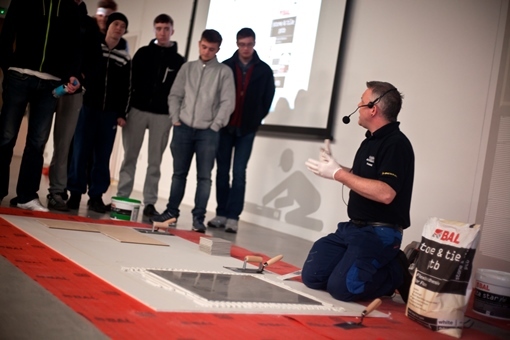 In 1992, we became the first tile adhesive manufacturer to open a specialist training centre for standards and tile fixing techniques, while we enhanced our training offer with the opening of the Innovation and Technology Centre in 2015. Building on more than 20 years of training heritage, we offer a full range of day courses providing practical and theoretical tiling training for fixers, apprentices, students, distributors and specifiers. Led by experienced trainers and members of our Technical Advisory Service, all courses include practical training on our online specification tool – PowerSpec – designed to help you win more business. Delegates also have the chance to tour our facilities including the factory, R&D and Quality Control laboratories. We offer a flexible approach to learning, from one-day to five-day tiling courses, while you can also pick and choose your modules with our bespoke training option. 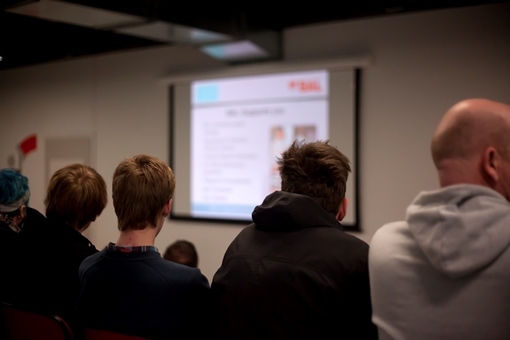 As well as in-house training, we also offer training on-site and at our regional centres, while we work extensively with colleges and retailers around the country supporting tiling qualifications and apprenticeships. Our training courses are endorsed by The Tile Association (TTA) and the Construction Industry Training Board (CITB) and have been highly commended by the National Training Association (NTA). Opened in March 2015, BAL’s Innovation and Technology Centre (ITC) leads the way in training and development in the tiling sector. 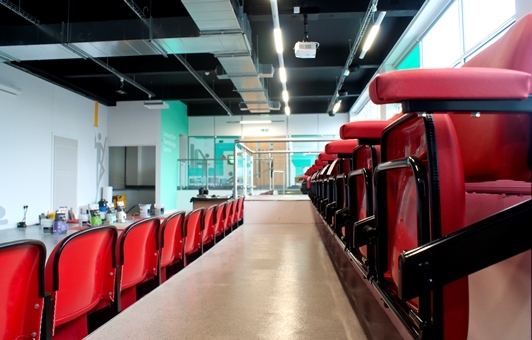 Designed to the highest specification, the ITC features interactive technology, a demonstration auditorium that can seat more than 40 delegates, six practical training bays and meeting rooms. The 160 m² auditorium features projection facilities for presentations and CPDs and removable demonstration bays with down-lighting. Our Innovation and Technology Centre is fully accessible to disabled people and also features a loop system for people with hearing aids. Find a local trade event at your nearest stockist for product support, technical guidance and advice from our expert Product Support Technicans.